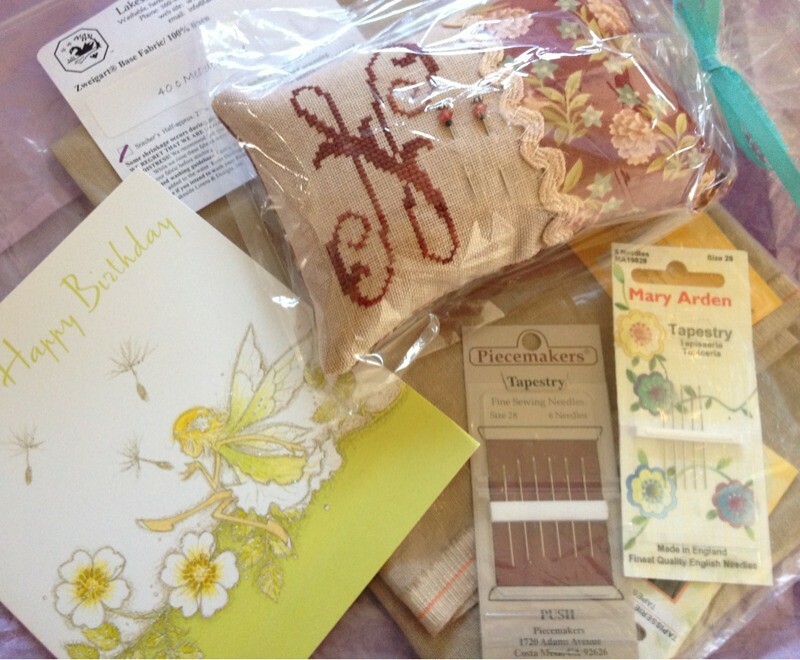 Nicole's Needlework: Wonderful Birthday Surprise! I opened the mailbox and saw a package. I was confused at first, I didn't think I had ordered anything. I opened it up and it was a very sweet birthday (which was on the 1st) gift from Amy. 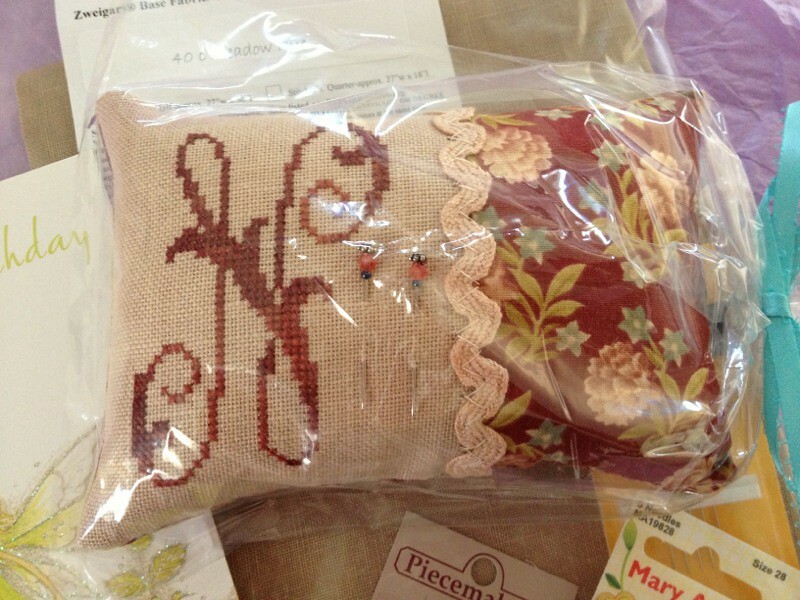 Included was a pincushion that Amy stitched and finished beautifully and a cut of very pretty 40 ct. Meadow Rue Lakeside Linen (my favorite) and four packs of #28 needles. She really spoiled me! Thank you so much Amy!! I love it all! What a lovely gift packet! Wishing you a wonderful birthday! Oh wow, that is beautiful! Happy, Happy Birthday!! What a wonderful gift! Fantastic! What a sweet gift. Wonderful !!! Beautiful gift. So thoughtful of Amy. What a treat! Hope you have a great birthday too! Happy Belated Birthday Nicole. A beautiful gift for you from Amy. What a lovely and thoughtful surprise from Amy. Happy belated Birthday. What a beautiful gift from Amy. Have a fun trip to Florida!